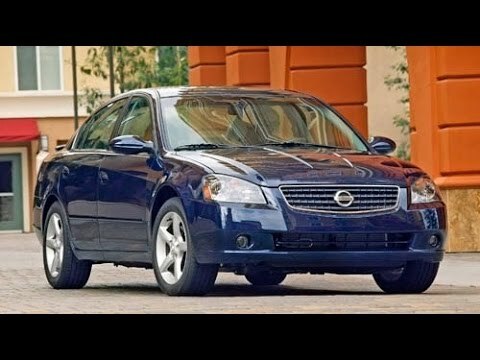 My experience with a Nissan Altima. A 2006 Nissan Altima is perfect for a small family who needs a reliable car to get them places. Not only is the steering wheel soft but so are the breaks and accelerator (which could be a good or bad thing depending on the type of vehicle you used to drive). Now let's not mention the sunroof which is perfect during the spring time or when you just want to enjoy your family trips. The trunk space is like other cars. The car seats on the back are very straight so if you have someone with back problems I would recommend looking at different options. But overall the car is easy to drive, park and maneuver around obstacles. I love how much room the vehicle has. Nissan Altima are very roomy with a huge back seat and trunk. They are a safe smooth drive and you do not feel like you would be harmed in an accident. They are longer than most cars, so the parking is more difficult because of the turn radius. I have the gold Nissan Altima which I have found is one of the most popular colors. There is not an AUX cord hook up which most people complain about. There is a great radio and CD player. The only problems I have had is with the crankshaft sensor failing. This is extremely hard to replace because you have to go in blind and have small hands to replace the part. If you keep up the maintenance, there is no reason this car will not last you 15 years and 300K plus miles. I love the Altima. Very few problems if you keep up maintenance. Performance for 2.5 is great for utilitarian needs. It is not a sports car, but I have hauled 1000 plus pounds with no lag in performance. It is extremely reliable. No breakdowns in 300K miles. I have the upgraded package on the inside, leather seats and power everything. It is extremely comfortable. Not one tear in the leather over these years and it takes its fair share of abuse. I'm 6ft and 200. Plenty leg room and head room, and not cramped at all in the seat. It feels sporty, but rides like a Cadillac. I would definitely buy again. DEALERS WILL INSPECT THE REAR SUBFRAME TO DETERMINE IF IT WAS MANUFACTURED INCORRECTLY AND REPLACE IT, IF NECESSARY. THE RECALL IS EXPECTED TO BEGIN ON FEBRUARY 27, 2006. OWNERS MAY CONTACT NISSAN AT 1-800-647-7261.